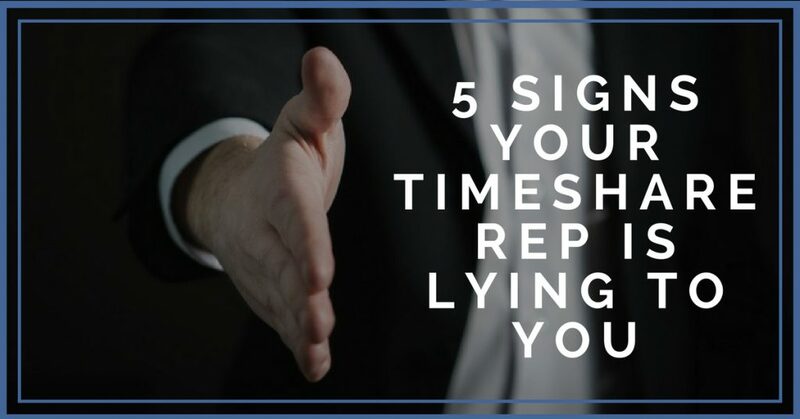 These are the terrible peop… I mean Timeshare Reps we will be talking about in this blog.The following 5 tactics are red flags that you’re sitting with a wolf in sheep’s clothing. This one starts at the beginning. When you are checking into your property and are confronted by the concierge. Listen closely. There is no such thing as an owners update. I know. They make it seem so official and mandatory. They tell you about the potential equity you would be giving up by skipping the presentation. They tell you anything they can think of to make you stay. At the end of the day, you are doing it for the gift card. The only thing they want is to sell you anymore timeshare by any means necessary. This is kind of a continuation from the last point. There is no such thing as owner equity or signing off on benefits if you don’t purchase something on your presentation. This is the most obvious scare tactic used. I promise you, there is nothing they would sell you then that they wouldn’t sell you if you called them next month ready to buy. This is a big one. It may be hard to believe that reps say this, or even harder to believe that people fall for this, but it absolutely happens. Running your credit means they can officially qualify you for financing and gets them one step closer to the sale. NEVER give authorization to run credit unless you are truly comfortable with considering a purchase. Nope. Not even a little bit. People who have owned timeshare for some time and tried to get into Hawaii understand how bold of a lie this is. While it is true that someone with a high enough level of ownership can get some prime weeks in Hawaii, that owner most likely isn’t going to be you. I would estimate that most timeshare reps inflate their packages capabilities by 4x what they will ever produce. This is another pretty unsettling tactic. Not the fact that they are asking you to finance the purchase, but the fact that they are selling you on a turd painted. While I cant be familiar with all of the credit cards offered in all of the timeshare offices all over the world, I can be confident in my belief that the terms and benefits are being lied about by untrustworthy reps. Interest rates, point plans, maintenance fee payment options…. The list goes on. While these are offered on typical cards, the ease of reaching their true benefits is greatly exaggerated and unrealistic. There are other warning signs that can tip you off to a trickster, but those were the most common. Any of these situations should make your “spidey senses“ tingle. You can leave your presentation at any time regardless of what they say. If you really wanna tough it out for the gift they offered you, go for it. Just wait until your required time mark and firmly ask for your gift and carry on with your vacation. Do you have a question you’d like me to answer? Awesome! Just leave your question in the comments and I will answer a different question at the end of every blog, or may choose to focus a whole blog on your topic! originally purchased at Sunset resort in 2014 following high pressure tactics. in 2016 we were threatened by sales managers nephew that if we did not buy into the realestate shareholders group at the resort Sunset head office would cancel benefits from the 2014 contract. We felt we had no choice to keep these benefits so we bought into what is now a lie. we only have one contract!!!!!! When we complained to the Customer service department the response was we do not deal with he said she said stuff unless its in your contract tough luck. is there or has there ever been a successful class action lawsuit against susnset for sales practices. What is the worst case scenario if I walk away from my time share and it’s $625.00 a year fees? I don’t need credit any longer at my age, but concern about liens.